Driver door black on the inside. 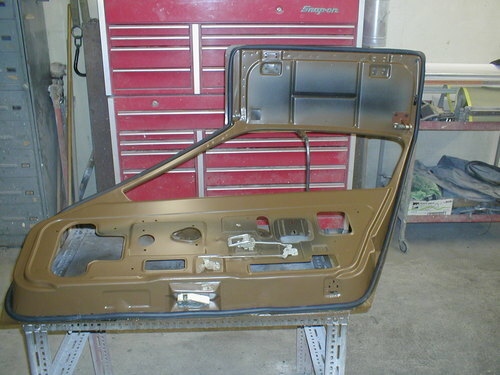 Passenger door looking as good as the drivers door. Both side windows with rails. 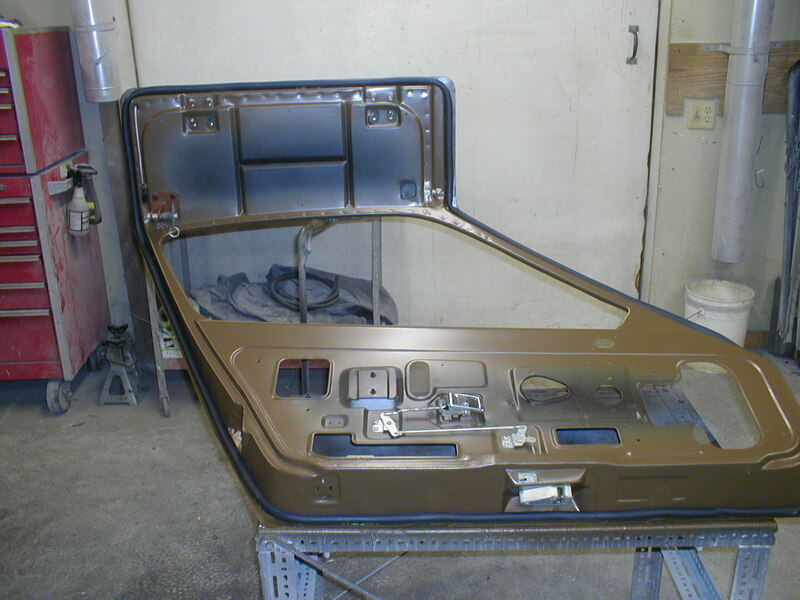 Passenger door sprayed Phoenix Brown. 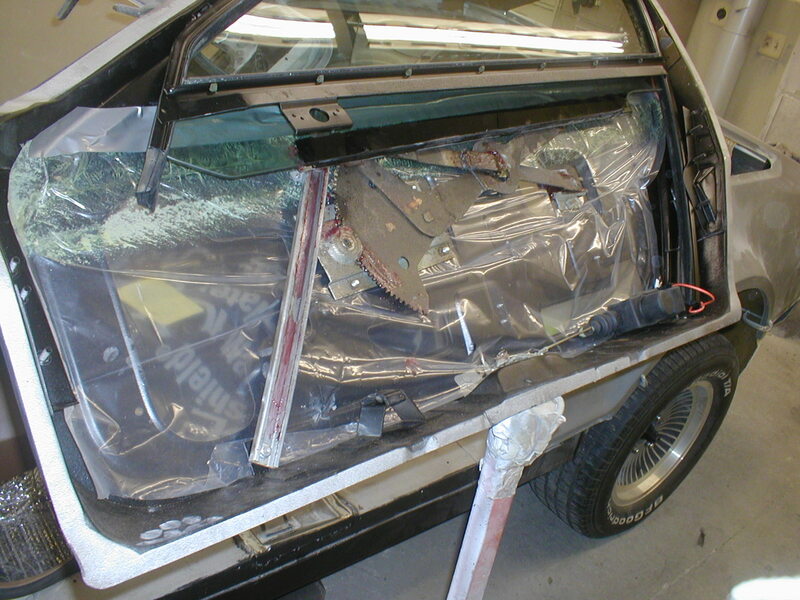 Driver door sprayed Phoenix Brown. 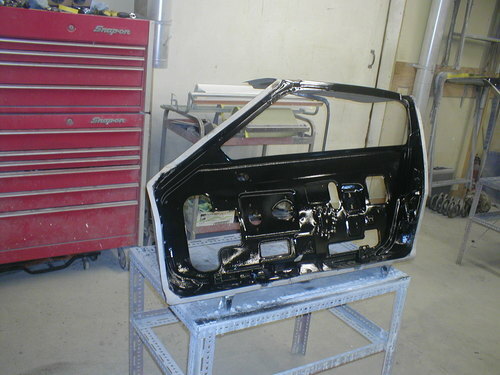 Passenger door installed on VIN 588 nears completion. 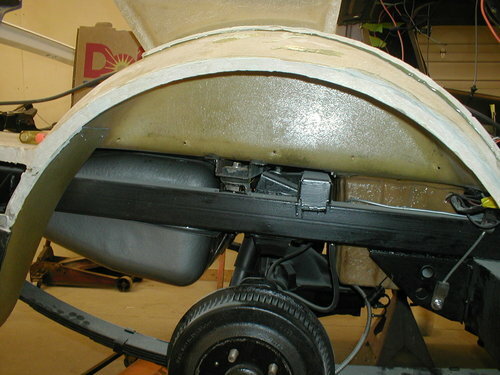 Driver door installed on VIN 588 nears completion. 1st of 10 new photos received 11/12/2014 showing restoration progress of VIN 588. 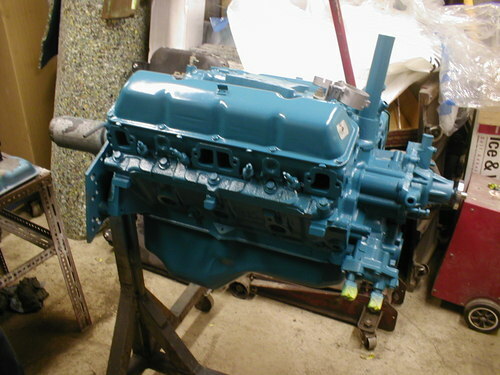 Restored engine. 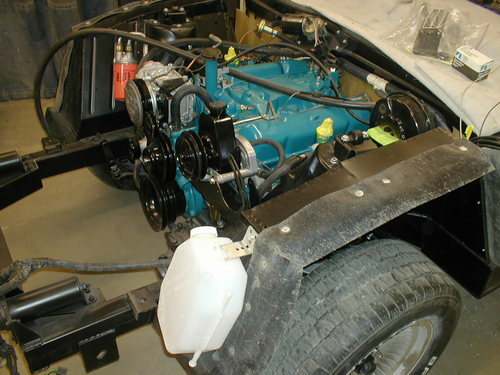 Engine fitted to the frame. 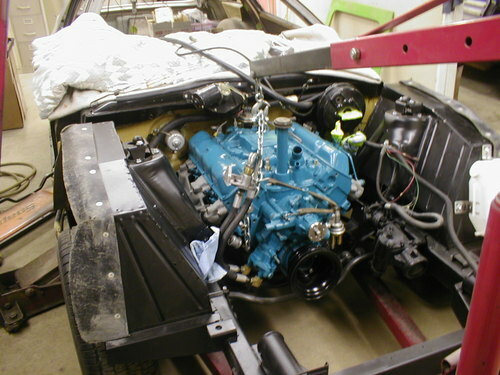 Front view engine into the frame. 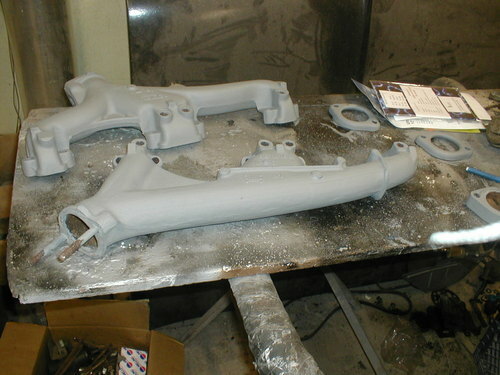 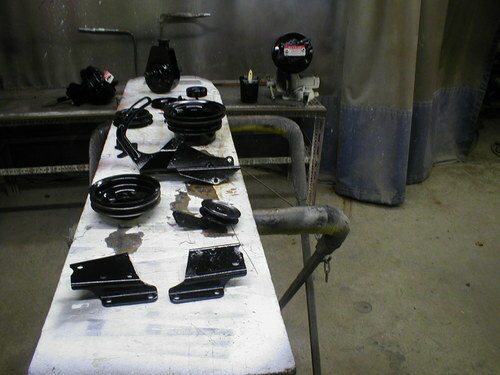 Another view of restored engine compartment parts. 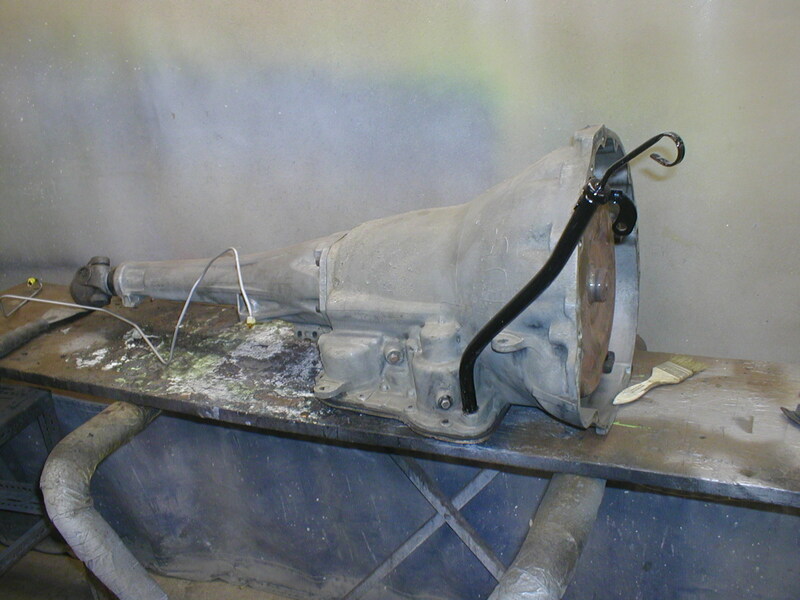 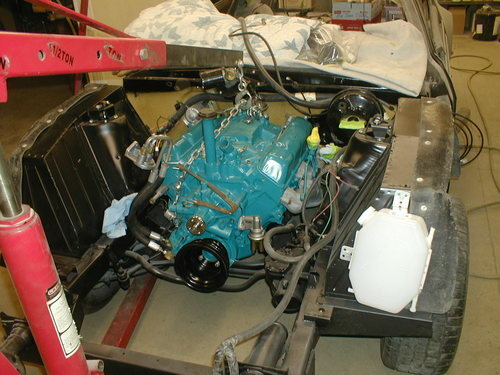 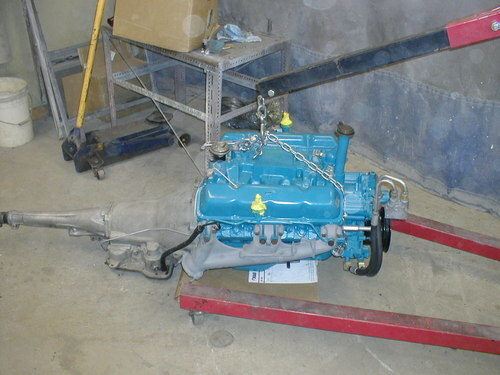 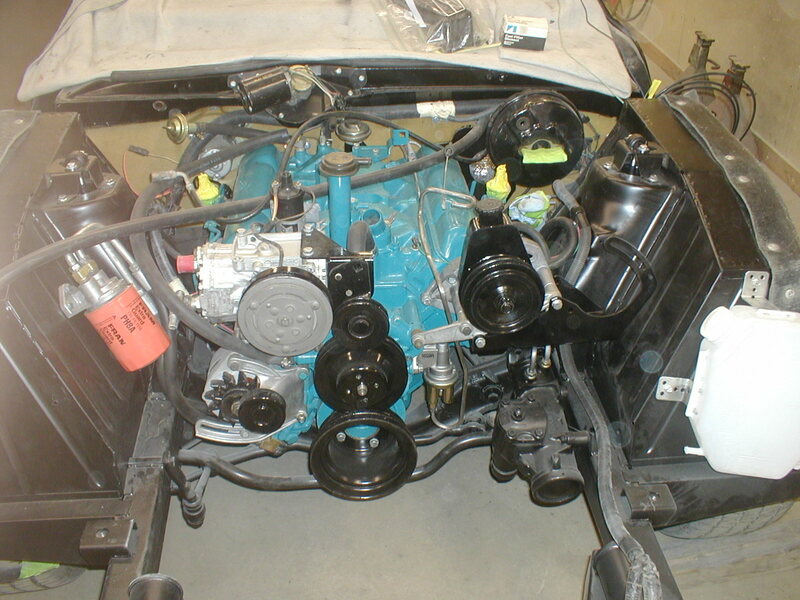 Engine fitted to the transmission. 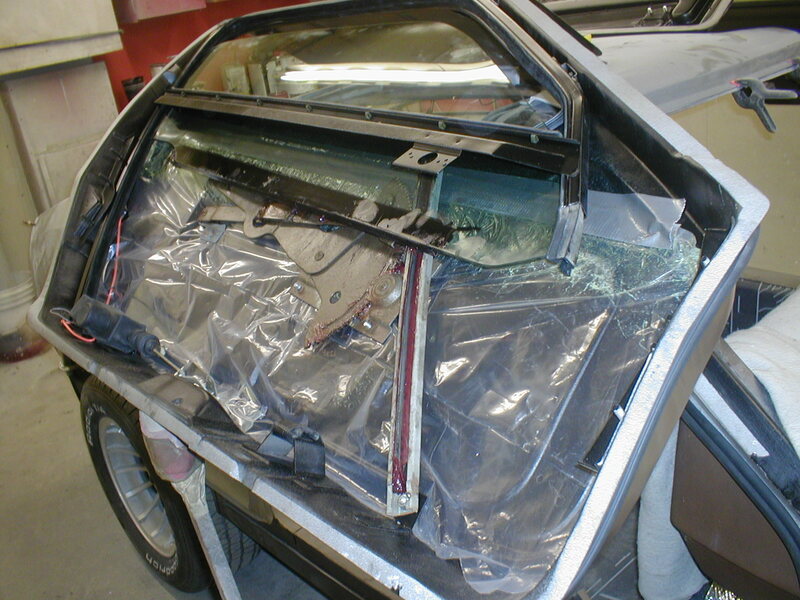 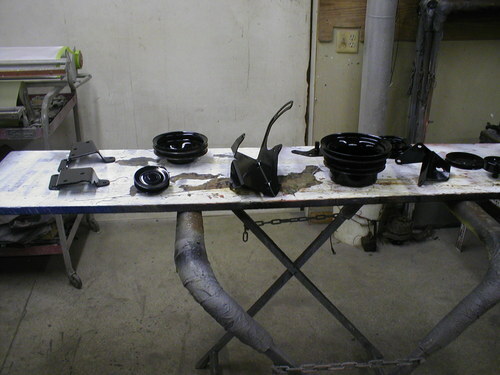 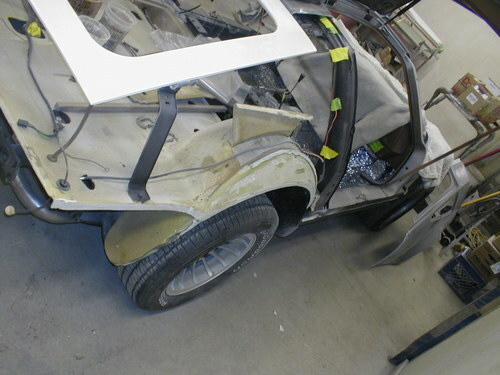 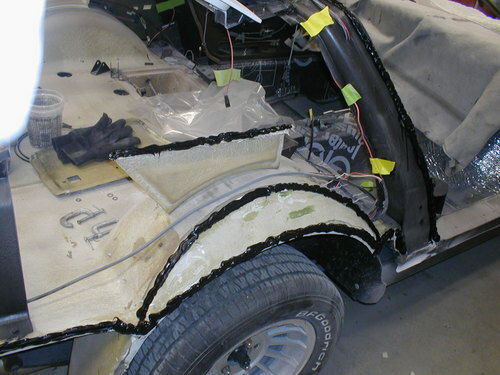 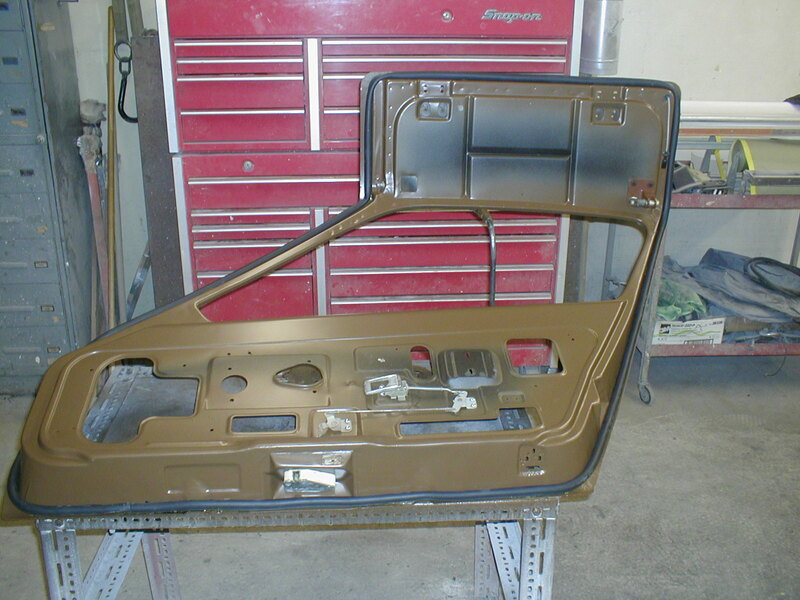 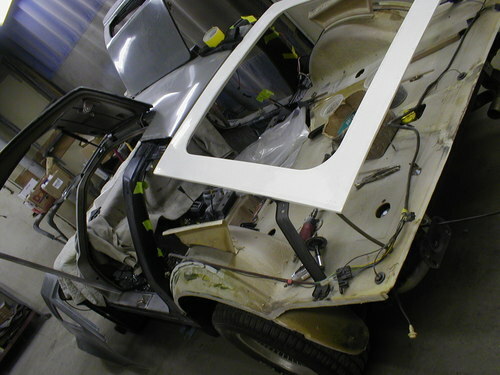 1st of 6 new photos received 11/16/2014 of the restoration progress of Bricklin VIN 588. Restored fuel tank installed. 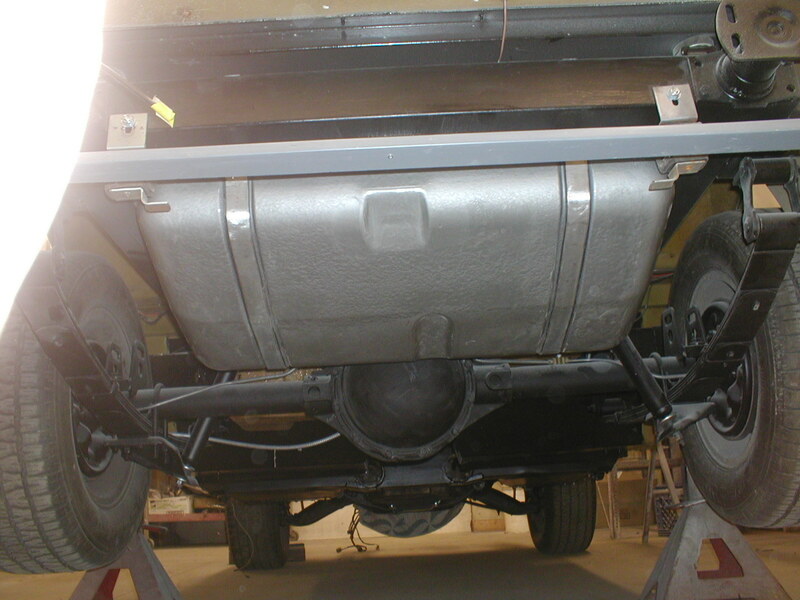 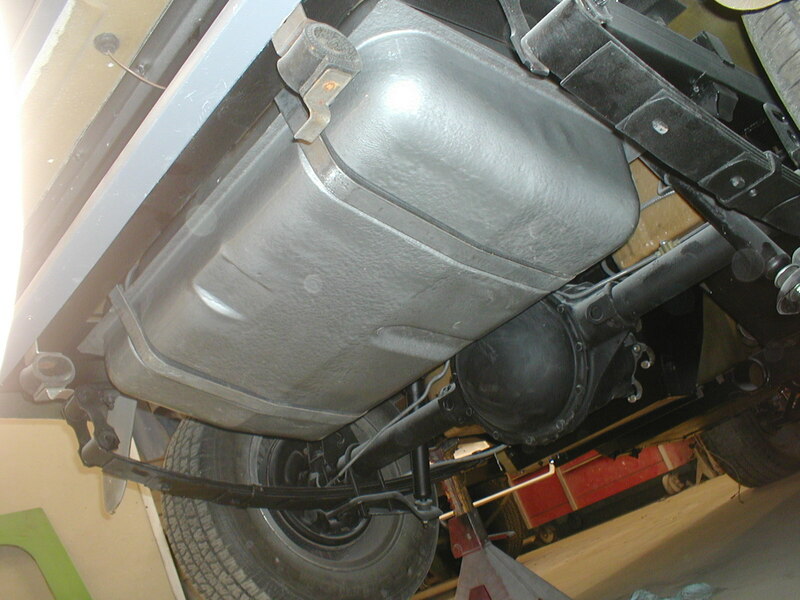 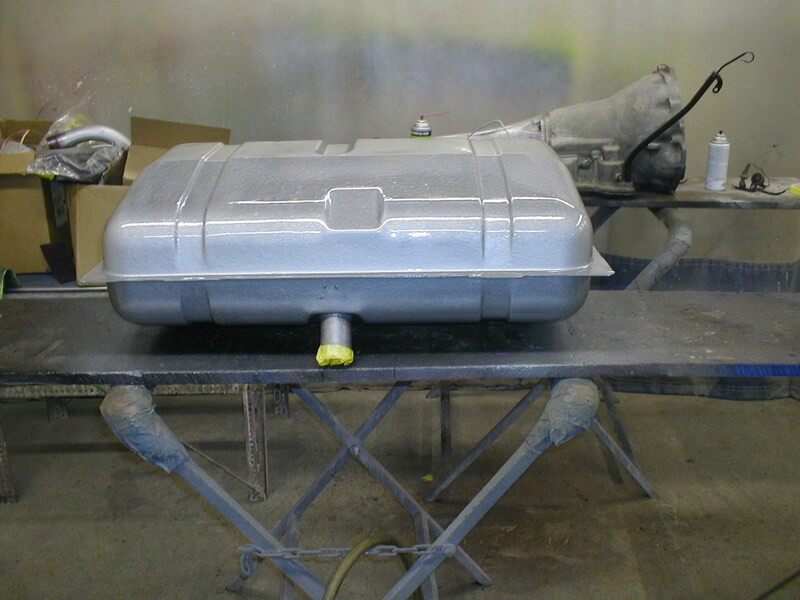 Restored fuel tank installed rear view. Right rear wheel well further along. Restored engine installed photo 1. 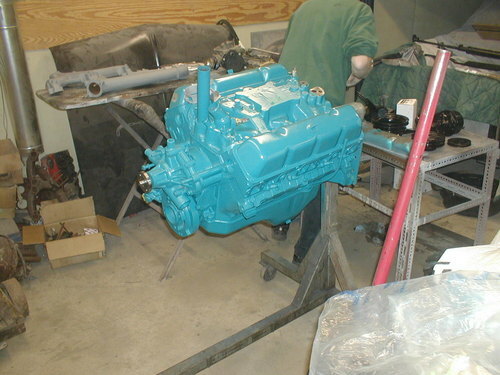 Restored engine installed photo 2. 1st of 8 new photos that arrived 10/28/2014 showing restoration progress on VIN 588. Rear hatch in place. 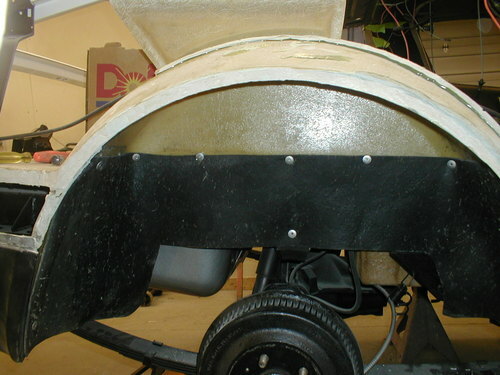 Rear hatch in place right side view. Left rear quarter panel in place. 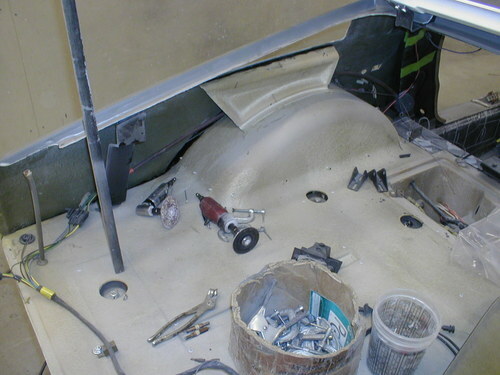 Left rear quarter installed interior view. 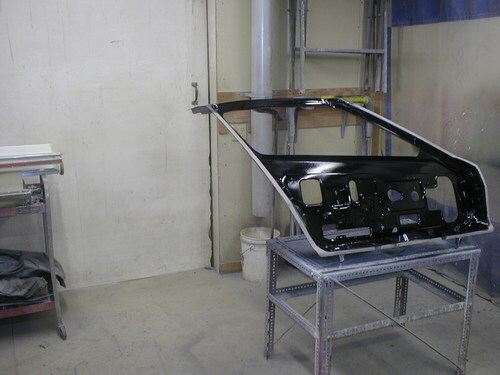 Ready to install right rear quarter panel. 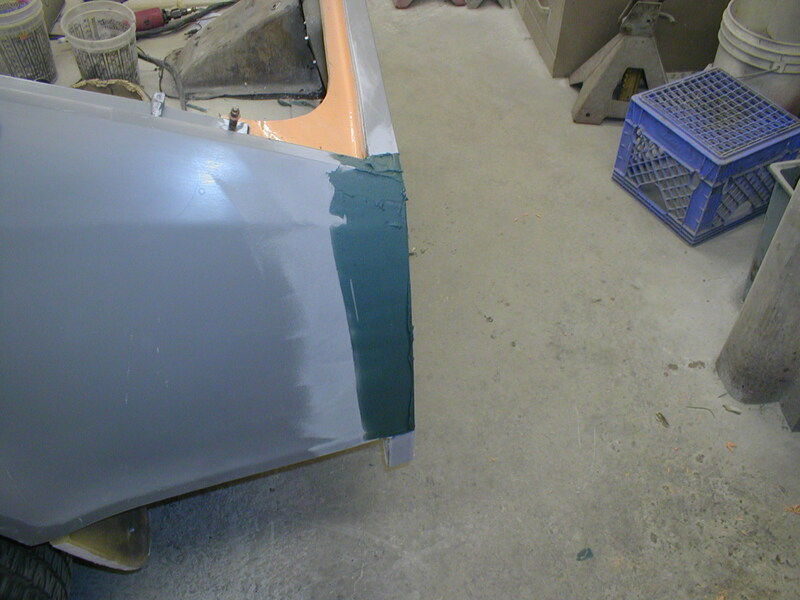 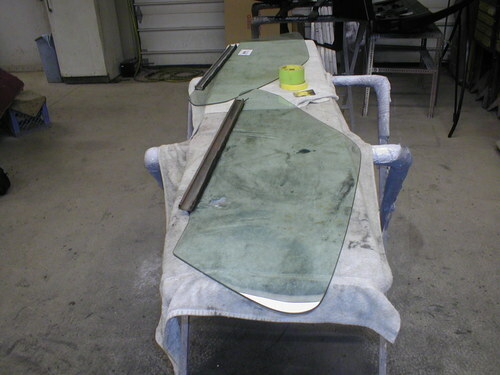 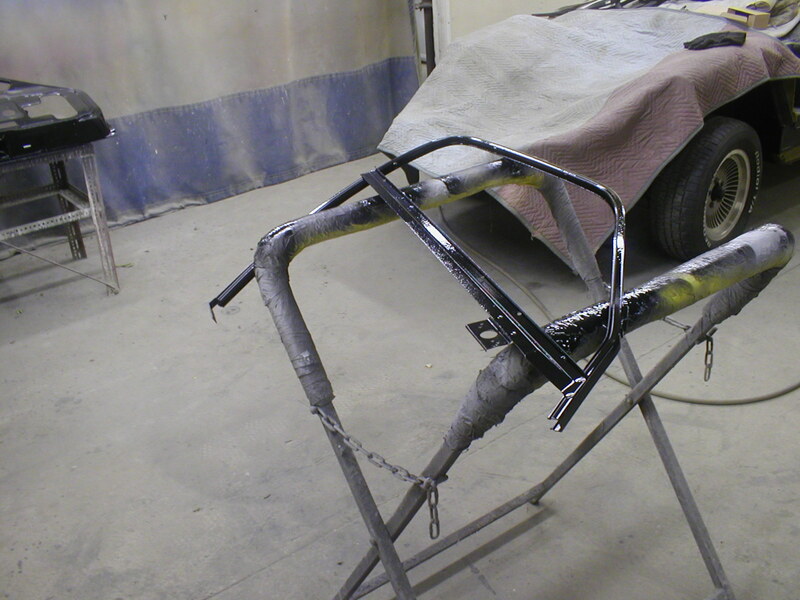 Left rear quarter panel, hatch trough, and tail panel in place. 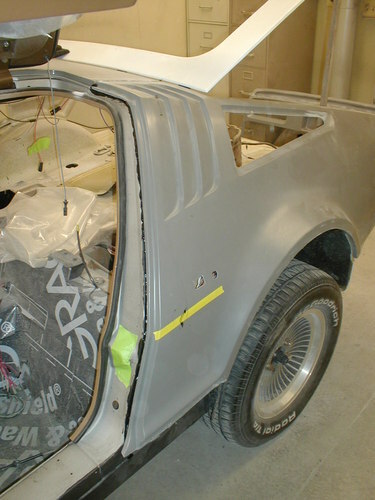 For the last 2 photos of this group, go to the Bricklin SV-1 Scottsdale Police Cars Page 5 page.